Developing an app can be a stressful experience. There are a number of things that you have to consider before even writing your first line of code, for example what platforms is your app is going to be built for. You may think that there are also a multitude of challenges that stand in your way if you want to design the app yourself. Well, I’m here to tell you that design resources are not one of them. 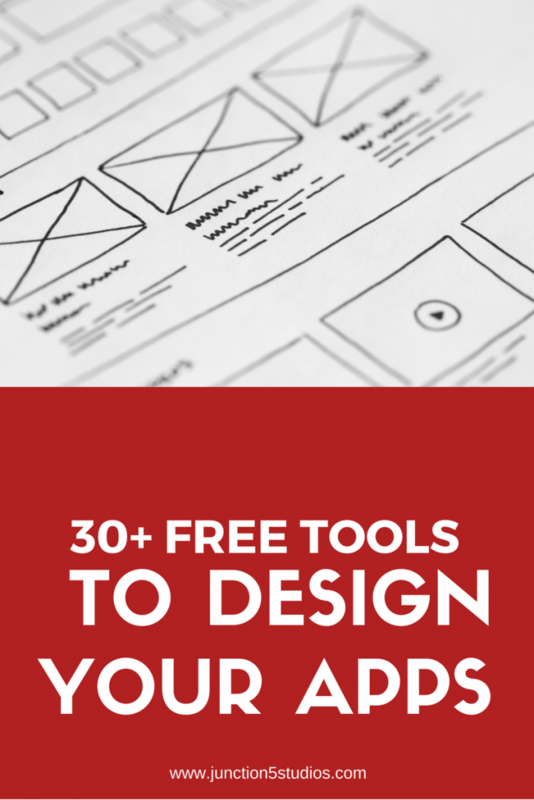 There are a number of tools available for free to help you design you own app. Some of these are tools are in constant use by entrepreneurs and small businesses so you can always find people willing to give you their honest opinion on the product. I’ll be trying to update this list every year to build this into a really robust resource. If you know of a new free design tool to create mobile apps, let me know and I’ll add it into the next update. Canva is an online graphic design platform. It offers free access to a wide assortment of design tools and options, as well as premium options for paying customers beginning at $1. Download from over 51 million stock photos, illustrations, vectors & videos from the world’s largest community in royalty-free stock photography. FreeDigitalPhotos.net offers you a unique way to download photos and illustrations. ALL the images on the website are available free of charge, for business, personal, charitable or educational use. More than 16000 FREE digital photographic images for web, publishing, and design. Royalty and cost free stock photos. Free stock photographic library. A collection of 1600 glyph icons, 200 of them are free. A large Public Domain photo repository with high resolution free photos and vectors. 13950 free and public domain photos, images, clipart, pics and vectors and counting. Free, use as you please, high-resolution stock photos for personal and commercial projects. All pictures were captured by Ryan McGuire. The largest free collection of iOS 9 icons. Single designer, consistent quality. Free download. PNG and SVG formats. LibreShot.com (former freepix.eu) is a project that contains free stock photos for private and commercial use. All photos and the whole website are made by Martin Vorel. MakeAppIcon is an icon creator that resizes all iOS icons and Android icons. With the icon resizer, you can import app icons to Android Studio and Xcode in 3 seconds. Over 350000 high quality, high resolution photos. Free for commercial use. No attribution required. The Open Photo Project is a photo sharing platform created in 1998 by Michael Jastremski. Contributors have offered their images free of charge under terms of Creative Commons licensing. Paint is a simple computer graphics app that has been included with all versions of Microsoft Windows. Paint.net (sometimes stylised as Paint.NET) is a freeware raster graphics editor program for Microsoft Windows, developed on the .NET Framework. Photogen.com is a free photo site. Photogen provides free, quality stock photography for both commercial and personal use. The aim is to create a valuable resource for designers, graphic artists, bloggers or anyone who needs a photo or image to enhance their website, presentation, homework or print job. In 2013 Viktor Hanacek created the stock photo site called picjumbo with free pictures that are today used by millions of bloggers, designers and marketers all around the world. 100% free Public Domain Images New free stock photos added weekly No attribution required. Images released under CC0 1.0 Universal Public Domain. All photos on this web site are public domain. You may use these images for any purpose, including commercial. But if a photo contains logos and products you need to be careful. Rgbstock.com is created by a group of enthusiastic photographers and graphic artists. Sketch App Sources is the largest source for high-quality Sketch downloads. The site is a collection of plugins, tutorials, tips, articles, UI kits, wireframe kits, templates, icons, and many design resources created by Sketch users around the world. Our community thrives by those who want to learn, teach, collaborate, and share their work and passion for design. One of the best ways to learn new techniques and design principles is to study and analyze the work of others. Making it easy for everyone to use SplitShire, from designers, bloggers, website creators, social marketing gurus, companies. Since 2009, The League has given only the most well-made, free & open-source, @font-face ready fonts. This collection of photos is for anyone to use in just about any way they’d like. You may NOT, however, redistribute these photos individually or en masse, as photos, to any other websites or offline buyers. The photos themselves are still the intellectual property of their respective owners and you are merely receiving permission to use them in your designs.